Jaimie Branch has been on a musical journey for years, born in Brooklyn, coming up through the Chicago jazz scene, studying at both the New England Conservatory of Music and Towson State, she only now releases her solo debut, Fly or Die. A mix of old school cool and new school drive the record is alive with energy and textures. Branch's trumpet is at the center, but the supporting players do more than just provide color. Tomeka Reid - cello Jason Ajemian - bass and Chad Taylor - drums form the core of the players and they interlock excellently on "theme 001", a dynamic excursion that pumps along. "theme 002" ups the rhythmic pace with the bass pumping things forward as the trumpet blares out musical passages. The themes are the true center of the album and are where everyone can shine as a unit, and Branch as a bandleader. On the flip side, the warped sounds on "...meanwhile" is an unwanted pauses in the action as the players putz around without any direction but these breaks are short blips before the group coalesces again. "the waltzer" also takes its sweet time and builds on its avant garde vibe deliberately slow, but drags mightily. Other sonic gambles like "leaves of glass" work better with odd structure and sound beguiling the ear and acting as almost sound effects on "the storm". The perfectly titled track blows in and uses cello strings for added effect, in fact the whole thing brilliantly calls to mind wind and rain. The final part of the theme trilogy, "theme nothing" once again finds the full collection of players bubbling and playing with super strength; flushing out these themes on future releases will only bring more success. 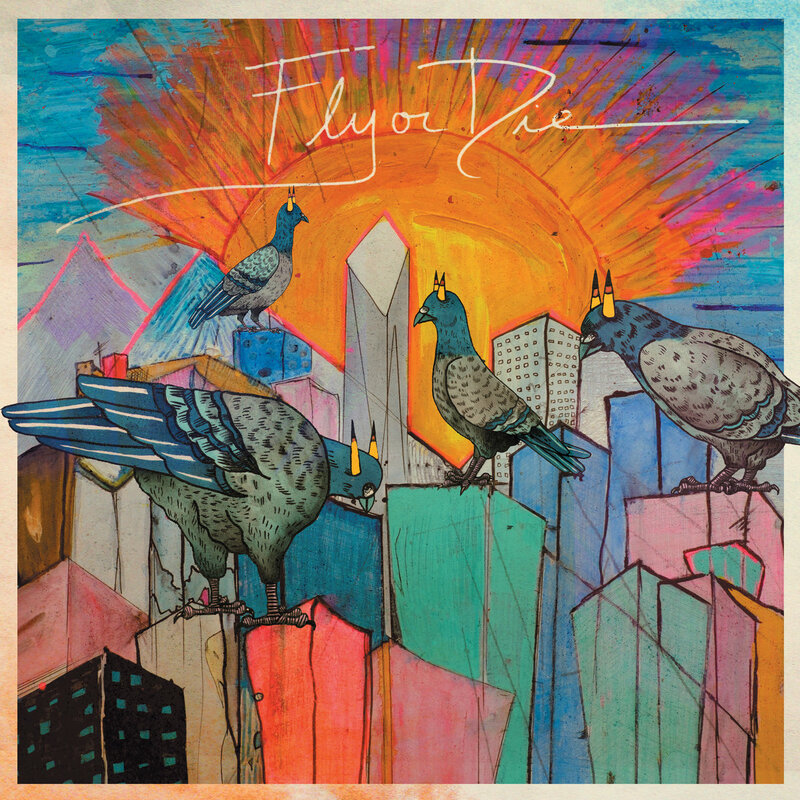 A fantastic first effort from Branch and company as they manage to mix odd sounds and cohesive passages from track to track on Fly or Die.